Beyond Skin, bring yet another fantastic event….and hopefully more to come. 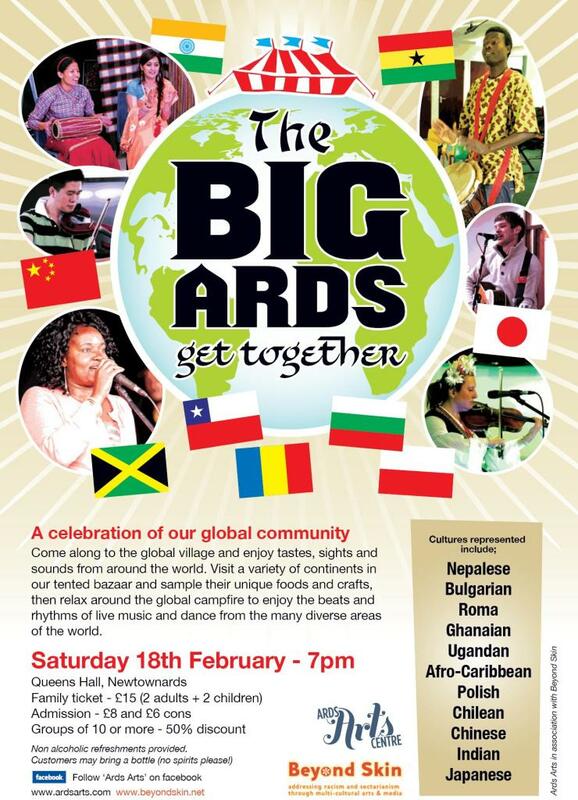 Ards Arts in association with Beyond Skin present A celebration of our global community. Come along to the global village and enjoy tastes, sights and sounds from around the world. Visit a variety of continents in our tented bazaar and sample their unique foods and crafts, then relax around the global campfire to enjoy the beats and rhythms of live music and dance from the many diverse areas of the world.